Securing the organisation of your event, wherever it takes place. As evidenced by numerous customer references, we are perfectly able to manage the security and safety of an event, whatever its nature: seminars, conferences, exhibitions, fairs and shows, concerts, festivals, banquets, weddings, private parties, etc. Protection Unit is able to secure the organisation of an event, even if it is a travelling event: processions, sporting events, demonstrations, etc. Protection Unit’s security guards are specially trained to understand all of the aspects of event security management. 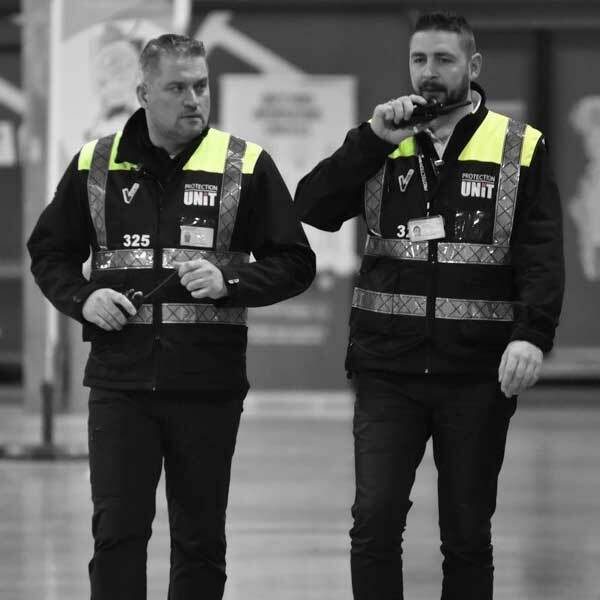 The guards are also perfectly able to address all of the security aspects inherent in the presence of a large audience and the management of flows of people, as well as the protection of guests and VIPs at the event. Without being an exhaustive list, here are some examples of the event security options offered: controlling visitor access to the site and perhaps preventing them from entering certain reserved areas (VIP, press, lodge, paddock, etc. ), preventive indoor and outdoor patrols, securing points of sale and areas for financial transactions, managing car parks, etc.